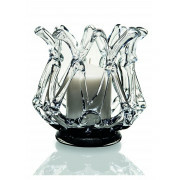 Brighten up your home with this stunning iNet Tulip Pillar Candleholder from Newgrange Living. 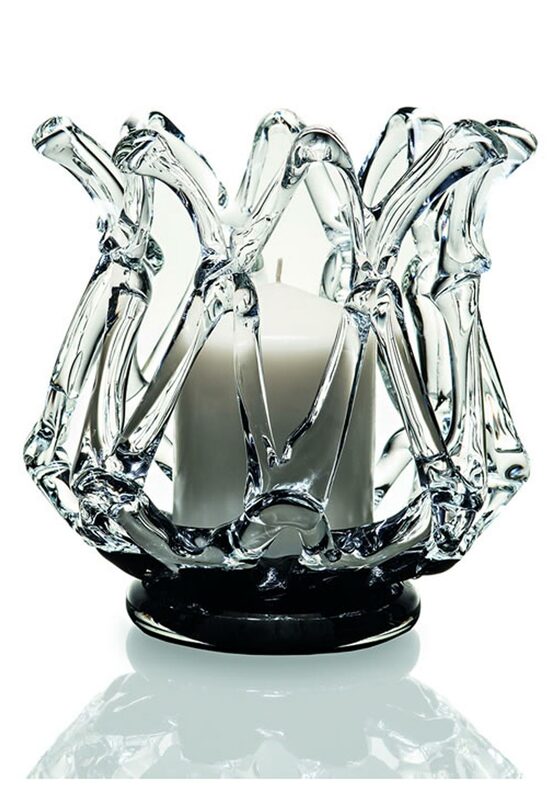 This candleholder has a unique design of heavy glass. The base has been finished in a black colour feeding into a clear glass surround.